Working at Neybox is really straightforward. You won’t have to deal with arcane corporate hierarchy and byzantine bureaucratic rules. We’re just a small team working closely together, with specific roles, trying to create something great while enjoying ourselves in the process. Everyone is either an engineer or a technically skilled designer, so you won’t have to “translate” anything. Note: We are not looking for a freelance developer who's searching for another client project to work with and move on. We are looking for someone who is willing to work with us in as a full-time exclusive member of our team. At the start of the day, we do quick catch-up online with our ongoing tasks, prioritize anything new and update our estimates. Right after that, you will be working either alone or with a member of the team developing new features, squashing bugs, prototyping, updating the UI or experimenting with new technology. We break for lunch around noon and resume around an hour later. We have regular meetings whenever needed to discuss, coordinate, exchange ideas or gather feedback. That's it. We offer a great salary, paid vacation time, financial support for opportunities that will help you grow as professional and individual and perhaps most importantly, the conditions to do great work that matters. If that sounds like what you're looking for, just apply for the position and we'll reach to set up a meeting to get to know you better. 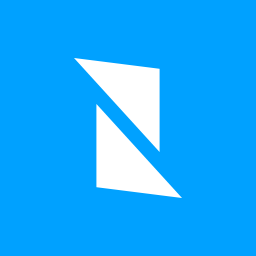 Senior iOS Developer at Neybox Digital Ltd.